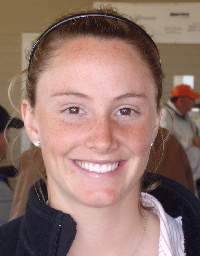 The Sixth Annual 2008 Shamrock Collegiate Invitational Tournament for collegiate women golfers was held March 21,22, and 23 at Tega Cay Golf Club in Tega Cay, SC. Fourteen teams traveled here from as far as Iowa, South Dakota and Texas. 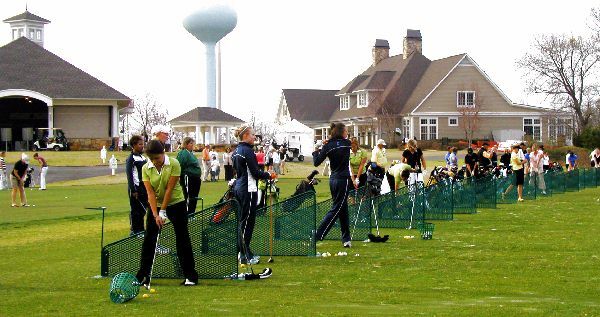 The annual tournament is hosted by both Tega Cay Golf Club, and Winthrop College in Rock Hill, SC. Winthrop won last year and was looking for a repeat win. 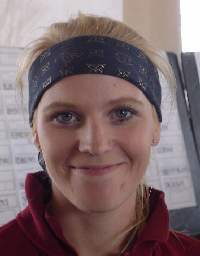 On the first day Winthrop’s Jutta Degerman from Kaunainen, Finland led the field by three strokes after firing a one-under 71. She helped Winthrop to a team total of 310, which trailed the day’s team leader Charleston Southern by four strokes. Susannah Aboff of Princeton shot the low round of day two with a 69. She led Princeton from a fourth place tie with Iowa to second place. However Charleston Southern maintained first as Winthrop dropped to third. The low medallist for the three days was Susannah Aboff of Princeton with 221 followed by Jutta Degerman of Winthrop with 223. Third place Michelle Grilli, also from Princeton, came in third this a score of 230. 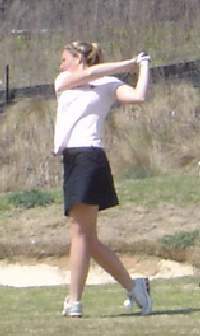 Winthop’s coach Jodi Wendt said that we will probably see both Susannah and Jutta on the LPGA soon. The six-year old Shamrock Invitational Tournament drew participants from South Carolina colleges including Winthrop, The Citadel, University of SC Upstate, Presbyterian College, and Charleston Southern. Other participating colleges were Saint Francis, Murray State University, South Dakota State University, Xavier University, University of Iowa, Princeton University, Gardner-Webb, Tennessee State University, and Siena College.